Doug is hard at work refurbishing the TSL toilet block. 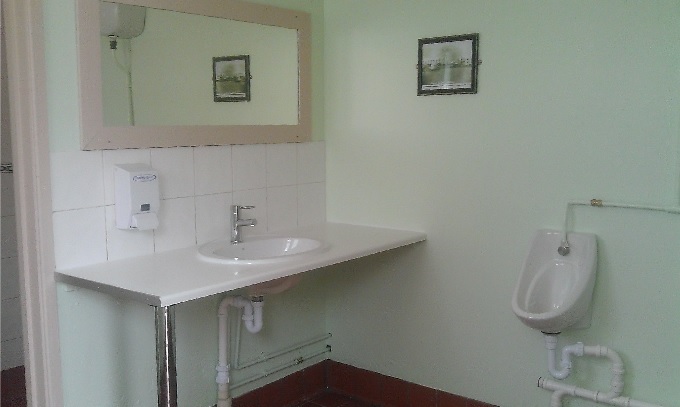 The male toilets are now complete after a lick of fresh green paint and new fittings. The disabled toilet is next to be made over followed by the ladies’ next week.